Cruise holidays capture the imagination in ways that other holidays can’t quite manage. The main attraction is the variety of destinations they offer compared to a single resort. Holidays should be about seeing the world and while staying in one location can be fantastic, heading off into the sunset for lands unknown every day has the edge. 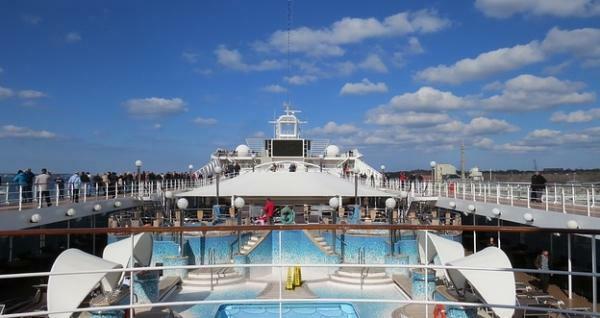 The beauty of modern cruises is that you don’t need to be Michael Palin to travel the globe – or even just a part of it. Two top destinations for British cruise enthusiasts remain as popular as ever, despite the difficult financial times we face: both the Caribbean and the Mediterranean cruise are still increasingly popular. The Mediterranean is the cruise of choice for almost half of British holidaymakers when it comes to this type of holiday. But cruises are expensive – really only for the rich, the famous or the recently retired, surely? Not so, or at least, not anymore! Battling the recession has meant that, if anything, cruises have become more affordable; in an effort to be able to continue to operate cruise lines are offering some great deals. 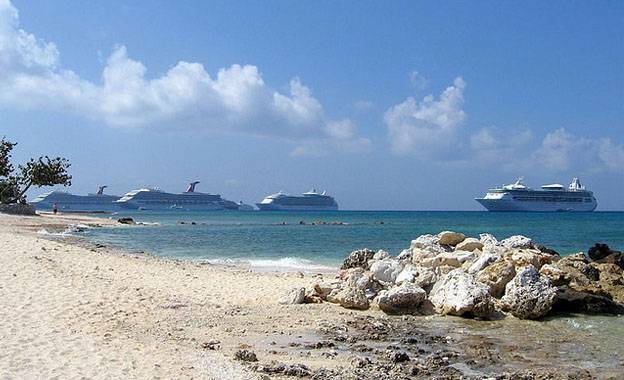 For families, especially, a cruise offers the variety of different locations with the security of one base. Catering for the whole families needs can be difficult; you may want to spend some time in designer boutiques, while the kids may want spend most of their time by or in the water. Granny may be on the lookout for a toy-boy, while him-indoors may want to spend a bit of time exploring the scenery. Holidays can be anything but relaxing if you are trying to juggle these conflicting needs and even resort hotels cannot always cater for everyone’s tastes. A Mediterranean cruise, on the other hand, can offer if not the best of all worlds – quite a lot of the good bits of several different ones. Cruise ships themselves come with just about every form of entertainment you could hope for; shopping, eating out, a range of health clubs and spas, pools and gyms. Most feature more restaurants than you can manage to get round on the average cruise – although if you are determined to try it, the experience can be rewarding. Cinemas and theatres are usually standard these days – which should keep the kids entertained. Childcare facilities are great, catering specifically to kids of different ages, while there are plenty of crew and staff in tight fitting uniforms for granny to bat her eyes at. By its nature a cruise is not one single resort – and the Mediterranean is a surprisingly diverse destination. It’s also one that is conveniently close to home for us Brits: meaning you can begin the holiday on the day of departure, not after extensive delays at an airport. The western end of the Mediterranean is perhaps the most familiar – with stylish resorts such as Monaco and Nice to visit for a day of super-star living. As you travel further east along the shores, the historic Venice beckons and later the dramatic Dalmatian coastline leading down to Greece – the Greek islands are made for water sports – and there are plenty of opportunities to indulge. Beyond Greece, you begin to notice that there is more to the Med than meets the eye. Turkey, the Levant and Egypt all lie on the eastern and southern shores of the Mediterranean, which brings together the continents of Asia, Europe and Africa. The African coast of the Mediterranean is where the phrase ‘cultural crossroads’ really comes to the fore. From the urban sprawl of modern day Istanbul – with a very ancient centre – to simple fishing villages and the semi-desert shores of the North African coastline – a Mediterranean cruise offers all of this and more. Not all cruises will cover the whole Mediterranean, although if you have the time this is certainly possible and a very good idea indeed. However, the choice and variety of regions allows you to tailor the perfect, hassle free holiday to suit the whole of your family while making sure that you spend more time relaxing than catering to their needs. Cruises remain a popular and competitive way to make the most of a holiday, with the Mediterranean or a cheap Caribbean cruise remaining affordable – your holiday and your budget may take you further than you might think.